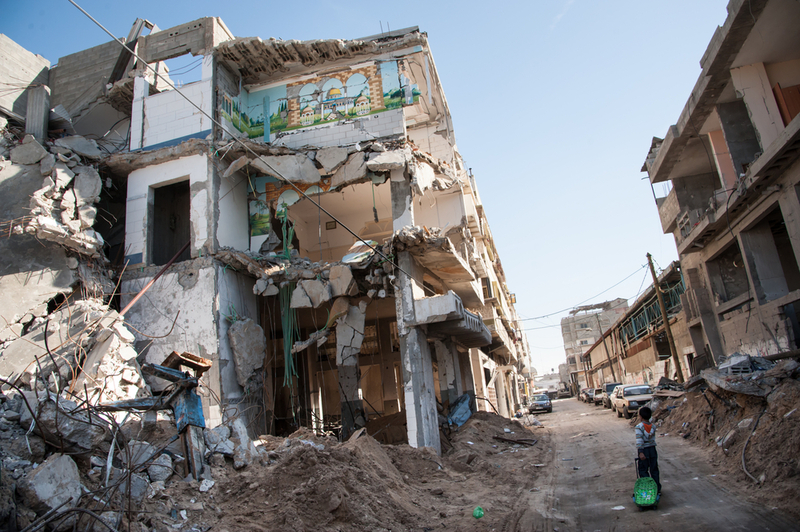 Amidst the cycle of fighting and ceasefire between the Israeli military and Hamas the safety of children remains severely threatened. Young Israelis are vulnerable to the trauma of frequent air raids that have also caused the displacement of many. In terms of both scale and extent, the suffering inflicted upon Palestinian children goes far beyond this. Roughly 400 have been killed and thousands injured. This is in addition to the loss of homes, the destruction of educational and health facilities, and the mental scars inflicted. Such devastation visited upon the young highlights the urgent need for a strategy that ensures their physical safety not just over the days of a ceasefire but for the longer-term. Here in the UK government spokespeople have reiterated the view that the “two-state solution” is the only strategy that can provide peace and security for all sides. To that end they call for a renewal of the peace process. My own engagement as a teacher and researcher in the region began in 1993. This was the same year that the peace process promoted by western governments appeared to bear its first fruit with the signing of a “Declaration of Principles” by Israel and the PLO. Car horns and the waving of national flags signaled the optimism that many Palestinians seemed then to feel, and that I shared. In visits over the years since I have witnessed a steady and inexorable worsening of the situation of Palestinian children. This has happened as a result of the practices of the Israeli state: practices aimed at controlling the native Palestinian population, appropriating their land and concentrating them into isolated cantons. There have been general effects upon the young from such actions. These include reduced access to clean water, impoverishment, denial of movement for social, medical, cultural and educational reasons. In addition, children have been directly targeted. Extremist settlers, with the complicity of Israel’s security forces, have played an important role here – for example by attacking Palestinian children on their way to and from school. Such treatment has not come about as a result of a breakdown in the peace process. Settlement building, land appropriation and the restrictions on movement that have created the chronic insecurity suffered today by Palestinian children increased greatly in the years immediately after the Declaration of Principles in 1993 – the supposed heyday of the peace process. The recent actions of the Israeli forces in Gaza clearly violate international law in respect of children. Nevertheless, this is but one further episode in a history of non-compliance across the occupied Palestinian territory. As a party to the United Nations Convention on the Rights of the Child, Israel is obliged to ensure the realization of the rights of all children on its territory, including territory that it occupies. This is a duty that it has chosen to ignore. The current upsurge of violence has strengthened calls for the UK to exert pressure upon the government of Israel to abide by its obligations under international law for the protection of Palestinian children. Such pressure might include, but is not limited to, the suspension of arms export licenses. The official response to such calls invokes a long-repeated argument: that applying pressure to Israel could endanger the peace process and thus the achievement of the two-state solution. Moreover, so the argument goes, it is through the establishment of a state that Palestinian children’s rights, including their rights to protection, may be realised. In terms of principle, this argument ignores the basic tenets of international law. The UN Convention on the Rights of the Child, for example, asserts unequivocally the universality of children rights. However, western governments promote the peace process with acceptance of the fact that Palestinians, including the young, should contend with chronic insecurity until the realisation of their state. By contrast, these same governments consistently stress to the Israelis that any final peace agreement will guarantee the continued security of its citizens. The ethical objections to a strategy that requires Palestinian children to suffer systematic violence in the short-term for the sake of their long-term safety are obvious. Beyond this, we need to consider the feasibility of the assumed scenario. With each passing year the prospects of statehood grow dimmer. The territory on which a Palestinian state might be located has been carved up, built over and settled on. Furthermore, ultra-nationalists, for whom Palestinian statehood is anathema, increasingly dominate Israeli political life. Western leaders surely know all this. Yet, adherence to the peace process/two-state solution argument serves to avoid confrontation with powerful lobby groups set on maintaining the West’s overwhelmingly supportive relationship with Israel. Greater public mobilisation is needed for the UK and other governments to face down these groups and apply pressure to the Israeli government over its obligations under international law. Without this kind of pressure the safety of Palestinian children, not only in Gaza but throughout the territory occupied by Israel, will remain elusive. Such a scenario speaks clearly to the victory of political-economic interests over children’s basic rights. ← Faith in a post-development world?